Michael specialises in cases involving the international movement of children, appearing regularly in the High Court and the Court of Appeal in cases involving (but not limited to) Hague and non-Hague abduction, jurisdictional disputes, the recognition and enforcement of orders (pursuant to Brussels II revised and the 1996 Hague Convention), relocation (both internal and external) and forced marriage. 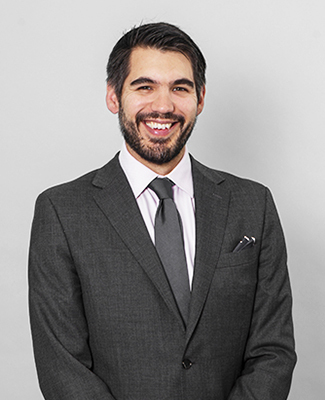 Over the past four years Michael has appeared in most of the leading cases in the field of international family law. He has represented parties (including parents, children and non-Governmental organisations) in the Court of Appeal and the UK Supreme Court in cases involving a diverse range of issues from the human rights implications of government immigration policy (R (on the application of Quila and another) and R (on the application of Bibi and another v Secretary of State for the Home Department  UKSC 45) to jurisdictional issues concerning children and the application of the 1980 Hague Convention (In the matter of A (Children) (AP)  UKSC 60, In the Matter of KL (A Child)  UKSC 75, In the matter of LC (Children)  UKSC 1 and Re K (A Child)  UKSC 29). Ferrari v Romania (Application No. 1714/10), in which Michael appeared on behalf of the applicant, successfully arguing that in failing to enforce an order made pursuant to the 1980 Hague Convention the Romanian authorities had breached the father’s Article 8 rights. X v. LATVIA (Application no. 27853/09), where Michael was one of a team instructed by the reunite International Child Abduction Centre to intervene in the proceedings. He has also been part of a team representing an intervening party before the United States Supreme Court (Lozano v Alvarez – appeal judgment at 697 F.3d 41 (2d Cir. 2012)). A full list of Michael’s reported cases can be accessed via the link at the top of the page. Family junior establishing a strong children practice with a focus on complex cases involving the international movement of children. He is experienced in Hague Convention matters, including international abductions and the summary return of children. He is also proficient in jurisdictional disputes and the recognition of foreign orders. Recent work: Defended a mother who had removed her child to Australia against Hague Convention proceedings from the child’s father, who sought its return. Gration successfully argued that she had lost her habitual residence in Australia, resulting in the claim’s dismissal. Family junior fast developing a strong children practice with a focus on complex cases involving the international movement of children. He has appeared before the Supreme Court and the ECHR despite his relatively junior level of call. His experience includes the Hague Convention, jurisdictional disputes and the recognition of foreign orders. Recent work: Appeared in the Supreme Court on behalf of the successful appellant children in re N (Children) (Adoption: Jurisdiction). Gration argued that the English courts had previously considered the welfare of children too narrowly with regard to Article 15 of Brussels II revised. 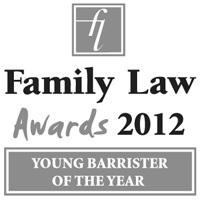 Family junior fast developing a strong children practice with a focus on complex abduction cases. He has appeared before the Supreme Court and the ECHR despite his relatively junior level of call. Recent work: Represented an appellant father who had sought the summary return of his child to Morocco. A rising presence among juniors at the Family Bar who handles complex international children law cases, including those concerning abductions, relocations and forced marriages in Hague and non-Hague jurisdictions. Continues to go from strength to strength in the children law arena and is being increasingly sought after to handle cases concerning international abduction, international and domestic relocation, and forced marriage. Recent work: Acted for the biological mother in connection with a case concerning two children conceived by insemination by an anonymous donor during the parties’ lesbian relationship. During the course of the proceedings that followed, the shared residence order previously granted to the non-biological mother had been discharged. The mother appealed, and the order was overturned.